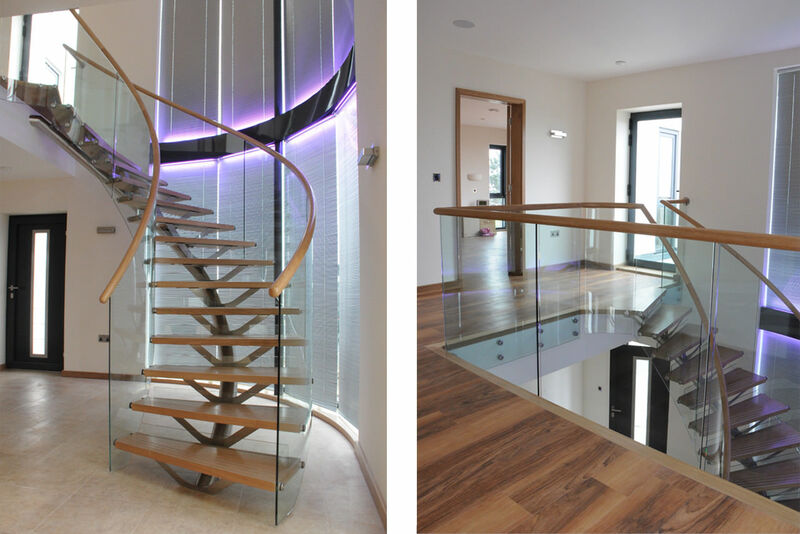 Helical staircase with a single stainless steel tubular stringer and ‘Cintre’ brackets supporting hardwood treads. 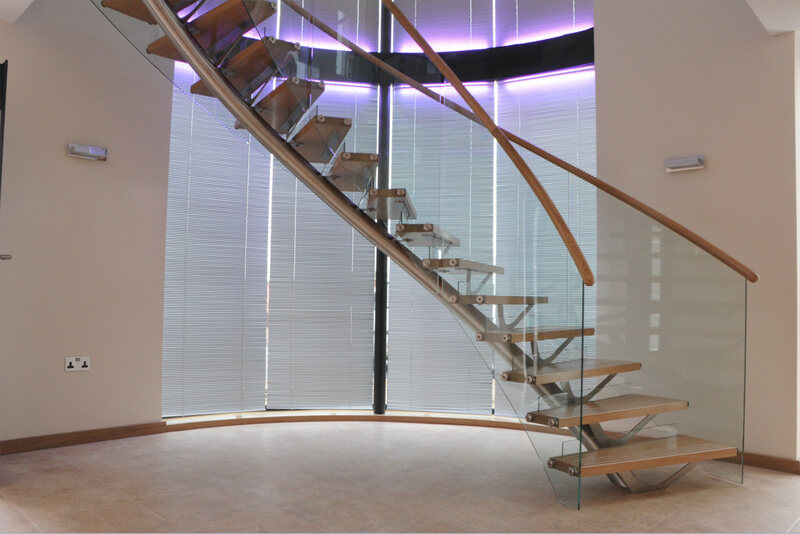 The balustrade is formed from helical toughened glass panels socket fixed directly to the treads. Solid Oak handrail slotted to the top of panels. All finished in a satin polish.